Don't Waste Millions on Toxic Sprays and Chemicals that Pollute Air & Water Supplies, and Cause Harmful Side Effects. Our Ideas Work Better. Local and county governments spend millions on mosquito abatement such as spraying insecticides and fogging. Consumers spend billions on harmful and toxic repellants and insecticides purchased from retailers. In spite of these efforts and expense there has been a 400% increase in West Nile Virus Cases as of September 1, 2012 and it is rapidly accelerating. Now there is a new threat from the Zika virus as well as many other illnesses. Experts think that mild winters, early springs and hot summers stimulate mosquito breeding and the spread of mosquito caused illness. Mosquitoes pick up many kinds of virus from birds and animals that they bite and then pass it on to people. Only about 1 in 5 infected people get sick. Early symptoms are fever, headache and body aches. Some recover in a matter of days. But 1 in 150 infected people will develop severe symptoms including neck stiffness, disorientation, coma and paralysis. Chicagoland Area and County Health Officals & Health Departments remind residents that the risk of WNV and other mosquito caused illness is strong and may remain so, and that the focus should be on personal protection. We suggest 2 practical and easy solutions; (1) mosquito repelling wristbands that save consumers and government money without using expensive, messy and toxic sprays or chemicals, and, (2) FREE mosquito traps that can be made from used plastic water bottles. Instructions will be posted on our website soon on how to do this. Several local businesses are giving mosquito repellant wristbands free of charge or with a qualifying purchase to their customers (while quantities last). 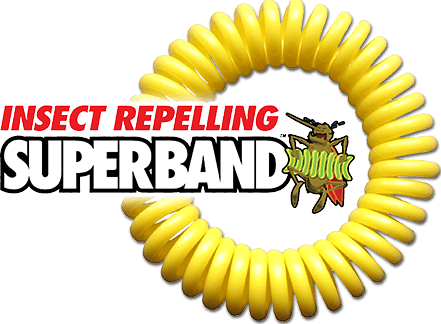 The wristbands contain a non-toxic mosquito repellant that keep mosquitoes away while you wear it. They will last for about a week as long as you store it in a sealed bag when you’re not using it. If you are in a heavily infested area, you may need to wear one on each wrist.